Daniel A. Dinnsen is Chancellor’s Professor of Linguistics and Adjunct Professor of Speech and Hearing Sciences at Indiana University, Bloomington. He is also a member of the Program in Cognitive Science and core faculty of the NIH Training Grant in Speech, Hearing, and Sensory Communication. He is Co-Principal Investigator of the Learnability Project, funded by the National Institutes of Health. Judith A. Gierut is Professor of Speech and Hearing Sciences and Cognitive Science and Adjunct Professor of Linguistics at Indiana University, Bloomington. She is the Principal Investigator and Director of the Learnability Project, funded by the National Institutes of Health. 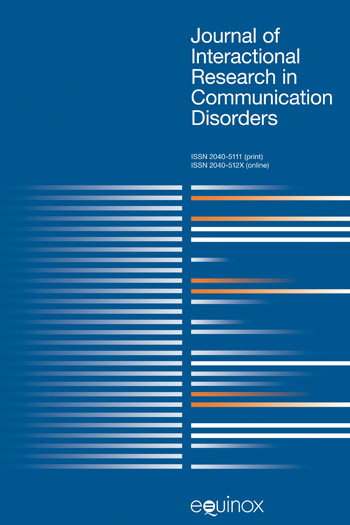 Focusing on the phonologies of children with functional (non-organic) speech disorders, this volume reports the latest findings in optimality theory, phonological acquisition and disorders. The book is based on typological, cross-sectional, longitudinal, and experimental evidence from over 200 children. It stands out because of the unique test case that the population offers to optimality theory, particularly with respect to puzzles of opacity, lawful orders of acquisition, and language learnability. Beyond its theoretical significance, this research holds clinical relevance for the assessment and treatment of disordered populations, most notably the systematic prediction of learning outcomes. The volume bridges the gap between theory and application by showing how each informs the other. It is intended for linguists, psychologists, speech pathologists, second-language instructors and those interested in the latest developments in phonological theory and its applied extensions. 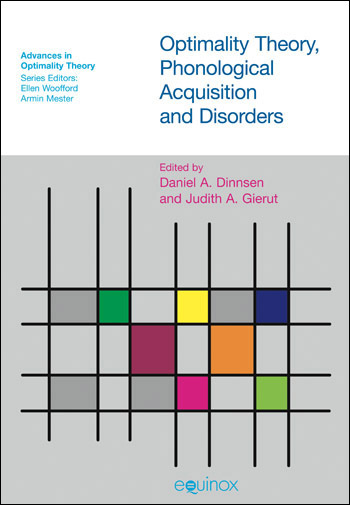 This chapter presents a tutorial introduction to optimality theory with an emphasis on those aspects most relevant to acquisition and disorders. The principles and workings of the theory are illustrated by considering some fundamental phenomena in the developing sound systems of young children with phonological delays. Issues of learnability and the nature of children’s underlying representations are considered along with phonological conspiracies and their clinical implications. This chapter describes a protocol that addresses limitations associated with the study of phonological development by shifting the focus from typically developing toddlers to preschoolers with functional phonological disorders. This population affords an opportunity for the use of sophisticated elicitation materials, procedures, and data analyses, as employed on the Learnability Project. Single-subject experimental designs offer a unique framework from which to test the basic premises and predictions of linguistic theory. As applied to phonological development, this set of designs capitalizes on the heterogeneity that is characteristic of development, while aiming to extract patterns of learning that are common across children. This chapter presents data and analyses for several different emergent opacity effects and situates them in a larger typology. Primary attention is given to a case study involving the emergence and loss of an opaque generalization in the phonology of a child with a phonological delay. This chapter reconsiders a challenging case of an unusual error pattern documented by Leonard and Brown (1984). T (age 3;8) replaced all word-final consonants with [s] but more importantly inserted [s] after word-final vowels. The purpose of this chapter is to show that optimality theory offers a fresh perspective on this error pattern and its subsequent course of development. Chain shift error patterns are of particular importance in acquisition because of their reported prevalence and resistance to traditional treatment methods. This chapter reports the results of an innovative approach to treatment for three children with phonological delays who evidence the chain shift error pattern. External evidence is brought to bear on predictions about phonological acquisition that derive from optimality theory. Specifically, correspondence relationships among outputs, their rankings, and change in these rankings with development were examined from a psycholinguistic perspective. Children typically suppress their phonological error patterns on their own without explicit instruction, although some error patterns may persist longer than others. For children with phonological delays or disorders, clinical intervention may be required to help eradicate those error patterns. However, treatment does not always meet with success. Certain error patterns appear to be especially recalcitrant, devolving into new overgeneralization errors and/or requiring multiple rounds of treatment. The theoretical and clinical challenge is to explain why some error patterns persist longer than others and/or why some error patterns respond well to treatment, while others do not. Optimality theory offers a fresh perspective on this issue through its characterization of children’s error patterns. Phonological contrasts tend to be preserved or enhanced in prominent contexts and are often merged or lost in weak contexts. One issue for the continuity hypothesis is whether children and adults treat prominent contexts in the same way. This chapter addresses this question by documenting what appears to be a prominence paradox: Fully developed languages preserve contrasts in one set of contexts, but children tend to acquire those contrasts first in the complementary set of contexts. This chapter addresses longstanding questions about children’s knowledge of phonological structure and how this structure is used to acquire the productive phonology. The primary focus of the chapter are the onsets of syllables, in evaluation of three levels of internal structure. This chapter reports the results of four experiments testing the predictions of two purported universals associated with onset clusters.A first prediction is that the occurrence of true clusters implies the occurrence of affricates, as based on the patterns of first language acquisition. A second is that the occurrence of Consonant+Liquid clusters implies the occurrence of a contrast between /l r/, as based on the patterns of second language acquisition. This chapter addresses the issue of whether children produce gapped inventories as they learn languages with harmonically complete inventories, by exploring children’s acquisition of word-initial s-clusters. This chapter evaluates the typological predictions of the split-margin approach to syllable structure, an elaboration of the Margin Hierarchy which distinguishes different sonority preferences of subsyllabic structure. This chapter examines synchronic and longitudinal variation in the realization of initial consonant clusters by children who are profoundly deaf and use cochlear implants. Productions were elicited in a picturenaming task from 10 children who had used their cochlear implants for between 5 and 7 years and from the same children after they had used their implants for between 8.5 and 11.5 years. This chapter highlights the findings of the previous chapters, their theoretical and applied implications, and unresolved issues that warrant further study. ..this volume should be of significant interest to researchers for the insight it provides into the connections between linguistic theory and language acquisition data. Anyone engaged in phonological acquisition research would do well to spend some time with this book. OTPAD constitutes a success: it is sound, interesting and entertaining. It is enviably well written and well produced, attempting to explain issues both broadly (how events should be viewed) and in detail (how events should be described). The authors are well-versed in and familiar with OT, both at the descriptive and explanatory level, and one can imagine OTPAD serving a very useful purpose in an OT introductory course. formulation of generalisations using the tools of OT makes the book a resource for the study of grammar change in acquisition. The theoretical analyses are mainly focused on the specific questions at hand and may have limited application to work on adult phonologies, but they embody a number of innovative claims, and deserve the attention of phonologists.